The Perfect Pool, The Perfect Swim! A swim spa is the ideal way to provide your family with the luxuries of a spa and the fitness of a swimming pool right in the comfort of your own home. Hydropool’s exclusive self cleaning technology makes it the world’s easiest swim spa to maintain with all the benefits of a full size pool with less cost, less space, and less maintenance. Swim, Exercise, Play and Relax all in one unit! The perfect everyday pool. A Hydropool swim spa is the ultimate backyard aquatic centre. 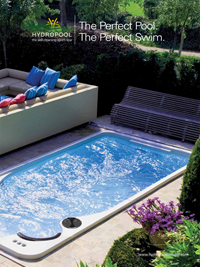 Hydropool’s exclusive self-cleaning technology makes it the worlds easiest swim spa to maintain. 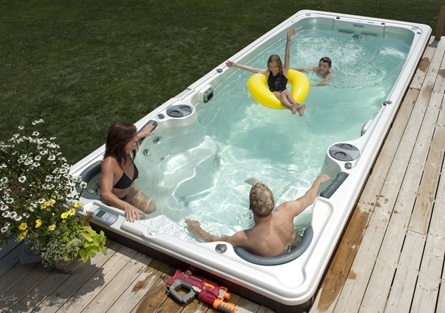 The Hydropool Swim Spas have all of the benefits of a full size pool with less cost, less space, and less maintenance. Whether it’s an AquaSport or AquaTrainer, you will enjoy the best of all worlds for fun and fitness. Immerse yourself in luxury. It’s The Perfect Backyard Addition! 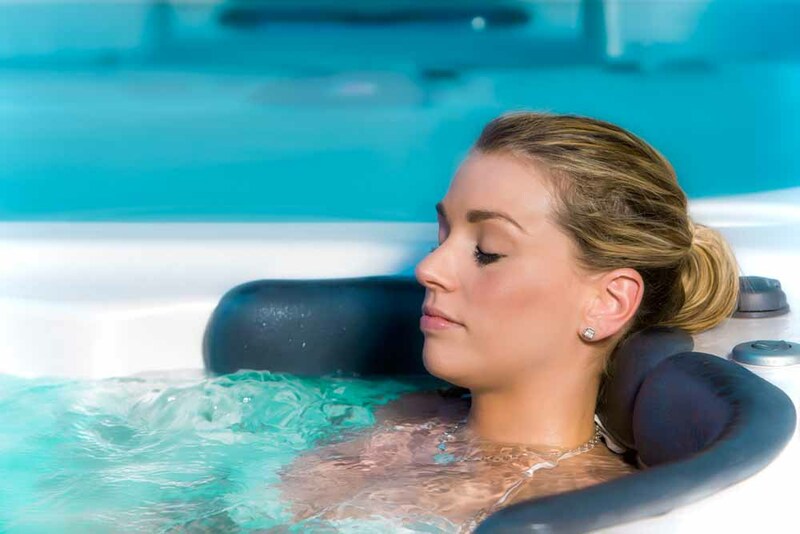 Swim Spas have many of the benefits of a full size pool with less cost, less space, and less maintenance. You may have heard the term “wet test” but don’t really get what it’s all about. “Wet Test” is an industry term for “test driving” a hot tub or swim spa. We always keep several models filled warm water, ready to try. Learn which hot tub is best for you by trying one.